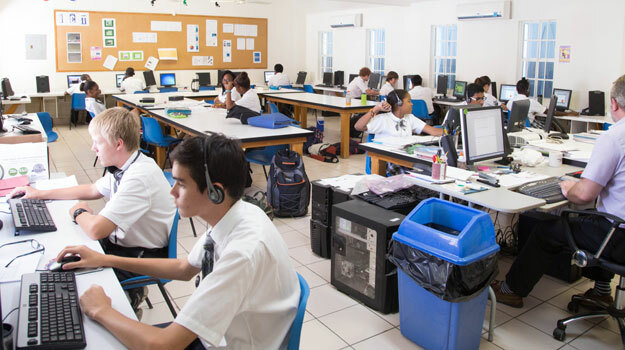 The British West Indies Collegiate campus, set in 12 acres of land, has undergone various phases of development since 1995. Brayton Hall was built to accommodate whole school assemblies, examinations, indoor physical education classes, the teaching and performance of music, theatre and other arts. The two upstairs classrooms host the English Department. Brayton Hall offers community access to an auditorium ideally suited to amateur dramatics, ceremonies, presentations, and workshops. Snack and Lunch Service for students and teachers, is available daily from “Pansy’s Kitchen” and is conveniently located in Brayton Hall. Science Facilities. 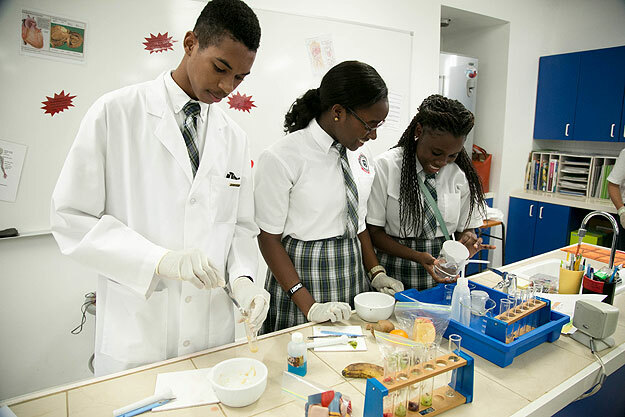 The Collegiate has 4 science laboratories dedicated to the teaching of Physics, Chemistry and Biology as discrete subjects, as well as 2 preparation and storage rooms. The new Science Building was completed in September 2011. Sixth Form Common Room. The Common Room is where our Sixth Formers study and also relax. It doubles as a spacious and secure examination room. The Information Technology (IT) Lab is spacious and well-equipped. The area comfortably accommodates 24 student stations around the perimeter, with space in the centre of the room to seat more students for theory sessions. All computers are networked and share printers. A digital camera and scanner are used for multimedia integration. A digital projector facilitates teacher demonstrations and student presentations. Track and Field. 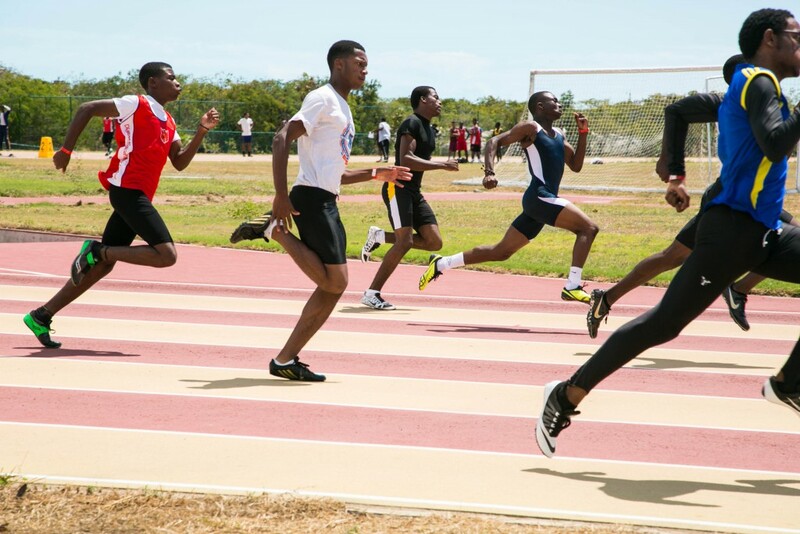 The Collegiate has use of the National Stadium, which was built in 2007 to host the CARIFTA games. Immediately adjacent to and accessible from the collegiate’s campus, it is a multi-use facility featuring a professional grade track and sports field. Library. Our library, one of the best in the country, operates on the Dewey decimal system. Very well stocked, it is open to all students at break and lunchtime, and is a popular place to study. 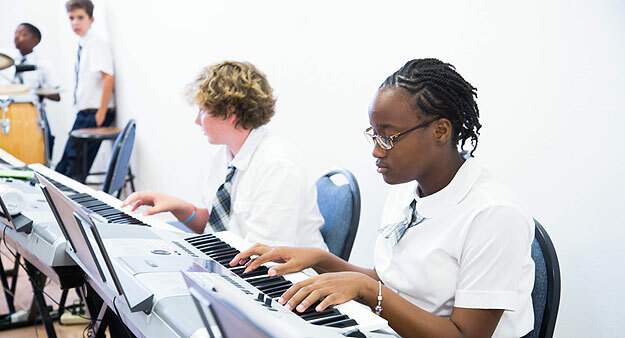 The new Music Room, adjacent to our auditorium, was built in September 2015. 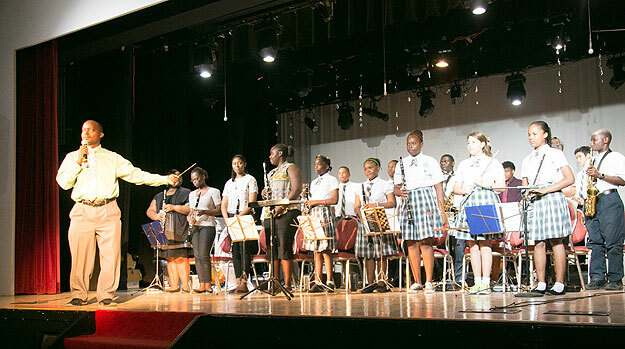 It is fitted with acoustic tiles and adequate storage space for instruments. 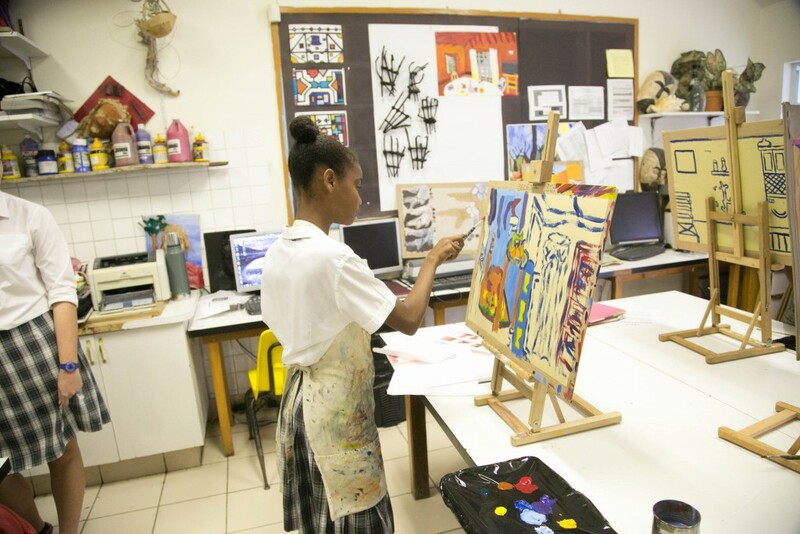 The Art Room is a well-equipped space with large work surfaces and two deep sinks. It has excellent natural lighting and a number of large display boards. The facility was extended at the beginning of the 2002 academic year to accommodate pottery and 3D studio. A high specification graphics computer, and a large format colour printer were added in 2015. Outdoor Common Areas, located between buildings, are favourite meeting places for study, break or lunch. 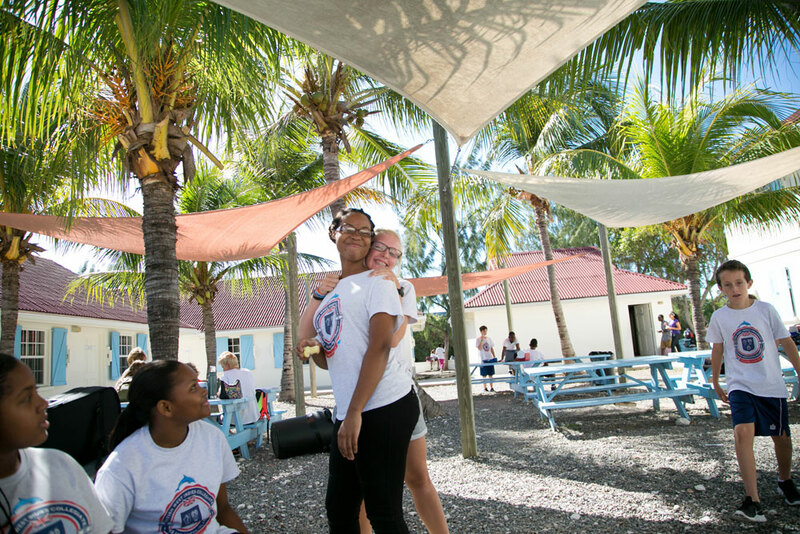 They are equipped with picnic tables and protected with sail shades, an initiative of the PTA.